Jean V. Hardisty, Ph.D., was a critical activist in Chicago in the 1970s and 1980s, helping found important women’s organizations. She founded Political Research Associates. Jean V. Hardisty, Ph.D., was a critical activist in Chicago in the 1970s and 1980s, helping found important women’s organizations. A political scientist with a Ph.D. from Northwestern University and seven years' teaching experience. 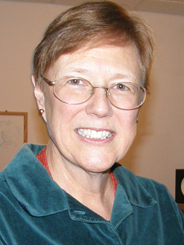 Dr. Hardisty founded PRA ( formerly Midwest Research ) in 1981 in Chicago. She has been an activist for social justice issues for over 25 years and is a well-known speaker and widely published author, especially on women’s rights and civil rights. In 1999 her book, Mobilizing Resentment, Conservative Resurgence from the John Birch Society to the Promise Keepers, was published by Beacon Press. She currently lives in Boston and serves on the boards of the Sister Fund, the Highlander Center, and the Women's Community Cancer Project and is the education consultant to the Ms. Foundation Democracy Funding Circle. She continues to remain involved in assisting the work of PRA.